This petition has been created by Melati W. and may not represent the views of the Avaaz community. 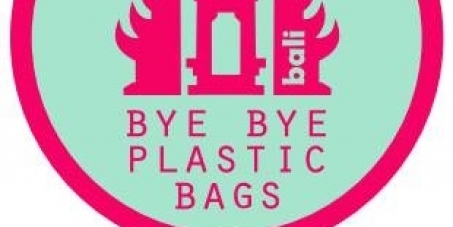 This petition will help to create a law that will forbid the use, sales and productions of plastic bags on the island of Bali, if we get 1 million signatures. Bapak Made Mangku Pastika’s pledge came after having signed an Memorandum Of Understanding to take measures that will see the use of plastic bags minimised on Bali by January 1, 2016. After a year of campaigning Pastika made good on his promise to meet with the Green School students, Isabel,12,and Melati, 13, Wijsen, having decided it was time to commit and support the cause. Pastika said he was touched by the social initiative of the “child led action” that had gained such attention on island and around the world. The girls appealed to the Governor to acknowledge the hard work of the Bye Bye Plastic Bag Team, asking him to guide them through the journey to heal Bali of its garbage problem. “I am not a hero, it is part of my job,” replied Mangku Pastika. He said he not only sympathized with the project, he loved it and wanted to support it. “I will commit to it and I even want to become a leading member of your team,” said Mangku Pastika.